Is it a bird? Is it a plane? No it's another take on Superman, swooping into cinemas just seven-years after Bryan Singer's sluggish version, which in turn heavily referenced its 1978 predecessor. With Man of Steel, director Zack Snyder attempts to modernise a character who first appeared in print in the 1930s. Reassuringly, Christopher Nolan and David S Goyer - the men who met the same challenge with Batman - are also on board, as producer and screenwriter respectively. Man of Steel returns to Superman's origins: a prologue sequence finds our hero's home planet Krypton on its last legs. Amidst the destruction Jor-El (Russell Crowe) battles the rebellious General Zod (Michael Shannon) and sends his infant son to Earth. The film then skips forward to reveal that Kal-El has grown into a beefcake known as Clark Kent (Henry Cavill) who's hiding his extraterrestrial identity behind a series of menial jobs. When Zod arrives in search of the superbeing, Clark is forced to come to terms with his past (all the while falling for Amy Adams' reporter Lois Lane). At the helm the usually OTT Snyder proves himself a surprisingly safe choice, toning it down almost to the point of anonymity but ensuring that the CGI destruction packs a punch. Unfortunately much of Man of Steel's story is imparted in flashback or as chunks of awkward explanation, so it feels condensed and unfolds unnaturally. The cast generally impress: Cavill doesn't quite nail Clark's anguish but he's more solid than stolid; Adams brings heart and soul; Diane Lane and Kevin Costner are welcome additions as Clark's adopted parents; and Shannon barks like a powerful pit-bull in a 12A cage. 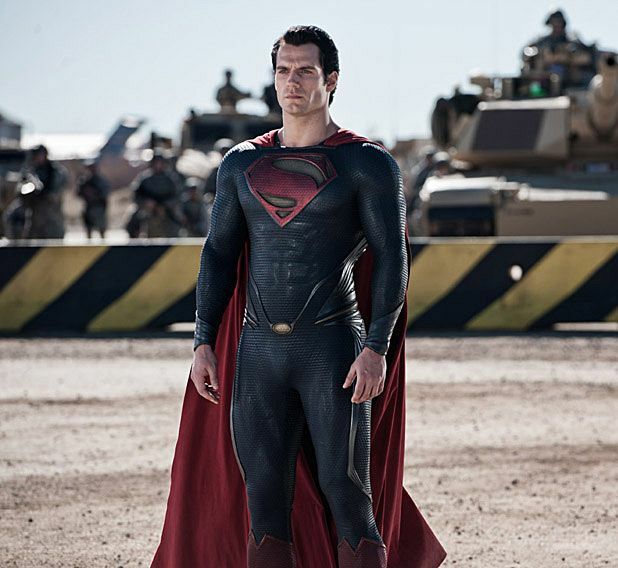 Man of Steel is short on the super, heavy on the morals and hardly a bold reinvention - yet as an(other) introduction to the titular do-gooder, it just about flies. Snyder brings Superman back to life in this reboot written by Batman beginner David S Goyer.